Royal Ink is a Las Vegas based Creative Agency that offers Digital Marketing, Website Design & Development, Logo Design, and More. They strive to be a one-stop shop for their clients, providing outstanding customer service, optimal creativity, and the highest quality design — every time. The owner Rafael Rivas started the agency in 2010 with his wife Lara Rivas. 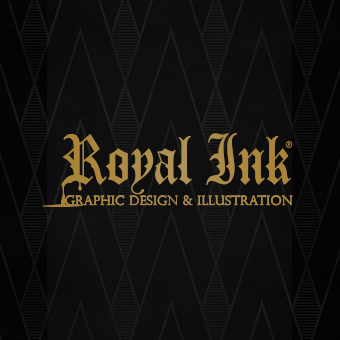 Royal Ink Design started as a 600 square foot office only big enough for a few people to what it is now. A team of 7 creative and talented individuals who absolutely love what they do! "As the Agency continues to grow, we needed something that allowed us to track our time and our projects.” Mercedes Cardenas Client Relations Manager at Royal Ink “We found ourselves entering the same information into two different programs which was not ideal time wise especially during the peak hours of the day." As they began searching for a single digital solution to their task and time management challenges, they included FunctionFox. "We first heard about FunctionFox when their account manager Spencer reached out to us — just as we were looking for a new system," says Cardenas, "It seemed as if their platform might meet our needs, so we included them in our research." Royal Ink was particularly interested in FunctionFox’s reporting capabilities. As an agency it is important to be able to track the time per client. FunctionFox offered lots of different reports and the kind of detail and flexibility Royal Ink was looking for. Royal Ink also liked FunctionFox’s ability to produce weekly reports about how much time the team was spending on different categories of project — logos, business cards, etc. “We could see that FunctionFox offered the kind of breadth and depth of reporting we needed, without the pain of entering data twice,” says Cardenas. Once Royal Ink had made the decision to give FunctionFox a try, implementation was quick and easy. "Spencer and Sara from FunctionFox were very attentive, and it didn’t take long at all to get up and running," says Mercedes "I was able to learn the system myself and then show the team. It was that easy." The Royal Ink team is very positive about the change. "We enjoy FunctionFox, says Cardenas. I’ve only heard one minor quibble: some people wish they could click once to enter a client, project and task. Aside from that, the team finds it very user friendly." Royal Ink obviously appreciates the flexibility of FunctionFox reporting, but what do they feel is the best thing about their new time and project management system? "Aside from reports?" asks Cardenas, "No question. It’s the outstanding customer service. Any time we have a question. Any time we can’t figure something out. Any time at all. They answer the phone, respond to emails, and usually, I get to talk to Spencer, Sara, or someone else I know, who knows our business. It’s a real bonus."